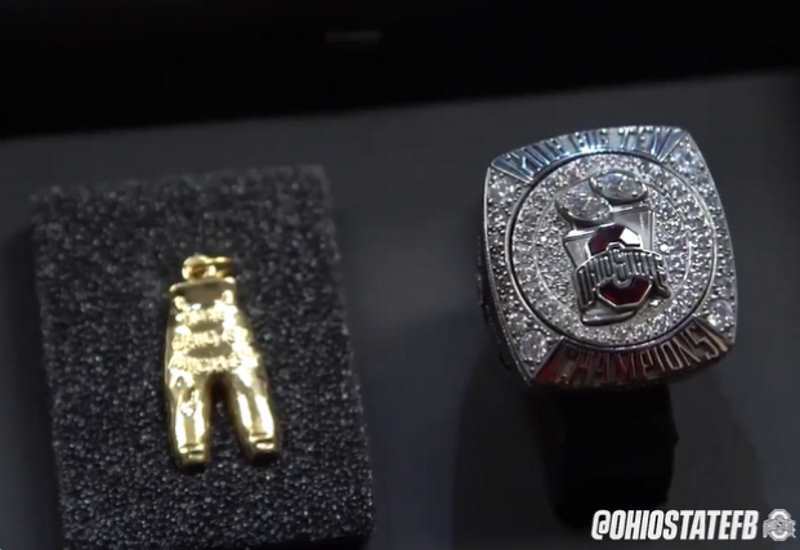 The Buckeyes received their Big Ten Championship rings on Thursday, and more importantly, they also received their gold pants for the win over Michigan last season. 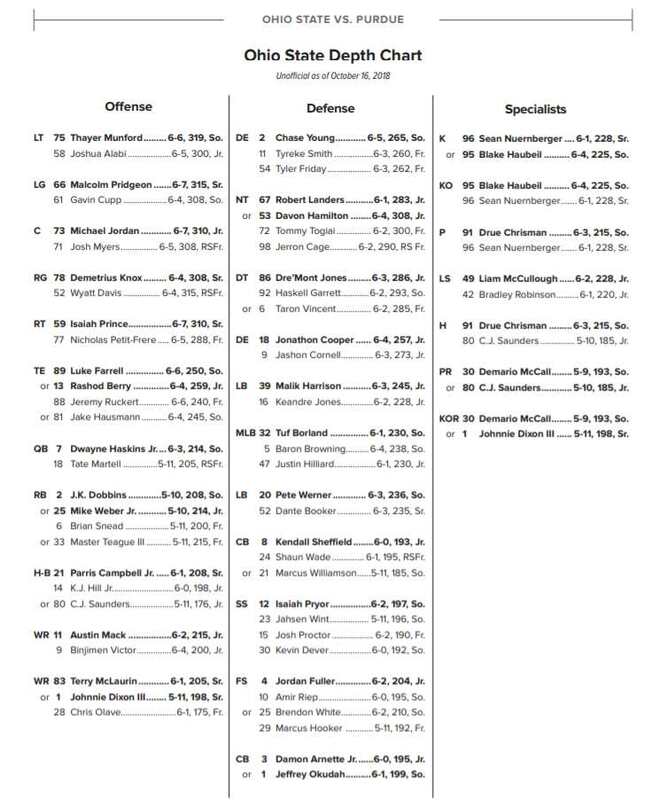 The score of last November’s Michigan victory, if you’ll recall, was 62 points for Ohio State and 39 points for the Wolverines. Former Buckeye All-American Jim Lachey is the president of the Gold Pants Club and he presented the golden mementos to the team. Ryan Day spoke to the team as well. “The rivalry is what we live every single day,” he said, crediting former head coach Urban Meyer for creating that lifestyle. Meyer was also on hand to receive his gold pants and shared some words with the Buckeyes. You can watch some highlights of the ceremony below.